If you are looking for information on the Americare Alliance franchise business opportunity, senior home care franchises or senior care franchising, then you have come to the right place. From the time we are children, we all learn to cherish the warm feeling of security we get from being at home. Home is, truly, where the heart is. And while living in our own home provides a sense of dignity and peace of mind for all of us, this is especially true for senior citizens and disabled adults who sometimes need assistance. For the elderly and disabled, living at home provides a better quality of life and is less costly than most alternatives. Still, there comes a time when many people need a helping hand to continue living at home and remain independent. This can place a tremendous burden on family members. Now there is a reliable and cost-effective way to bring in extra help when you need it, as often as you need it. Help around the house is just around the corner. We are AmeriCare Alliance, and our caregivers provide non-medical in-home care to people of all ages who need a helping hand. Our goal is to approach each client as we would a member of our own family, going the extra mile to assure proper care is provided. For many families just like yours, AmeriCare Alliance has become a trusted resource for senior citizens and persons of all ages with disabilities or chronic illness. Our caregivers provide companionship to them and comfort to you - like a friend of the family. Many of our clients require just a little assistance, like help with household chores or shopping. Others require more extensive help. Either way, we develop an individualized care plan to meet your specific needs. 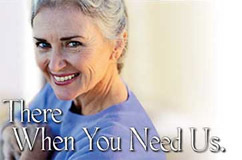 It all starts with a free consultation to help determine the actual services our caregivers will provide. Very often this meeting reveals additional services our caregivers can fulfill and also helps specify the services they cannot provide. At Americare Alliance, we know it isn't easy to make the decision to invite a caregiver into your home to provide assistance. That's why our personalized screening system of background, credit, and driving-record checks are designed to maximize your peace of mind. You'll have the opportunity to interview any caregiver that we refer to you. We'll let you choose the caregiver with whom you feel most comfortable. Our services are available 24 hours, 7 days a week (including holidays) to individuals and couples who require assistance in order to comfortably remain at home. Living alone doesn't have to mean being alone. Today Americans are living longer than ever. Already, 25 percent of American households are providing support to family members who want to continue living at home and remain independent. Our caregivers are helping to make that possible by doing the things you would do for them if you could. The big things, like assistance with housework and transportation. And the little things, like playing a game or taking a walk. Your loved ones get all the comforts of home because they are home - where they want to be. To schedule a free assessment, please call the AmeriCare Alliance office closest to you. We look forward to serving you. Includes complete training on all aspects of running the business and the largest protected territory in the industry. 22.4 million households, or 25% of the U.S. total, are already providing physical and emotional assistance to older relatives. The population age 85 and older is currently the fastest growing segment of the older population. In the next fifty years, this age group is estimated to increase by 150%. With AmeriCare Alliance, you will be performing a service that makes a real difference in people's lives. That's what you want out of your business, right? No expensive leases and monthly rent. You can run your AmeriCare Alliance business right out of your home. This makes the business more attractive to the caregivers, and much easier and more profitable for you. No expensive equipment or products to buy. No warehousing. Think about it: no office rent, no products to buy, no employees. You can be profitable in a hurry. Some businesses require you to work around the clock. Not this one. 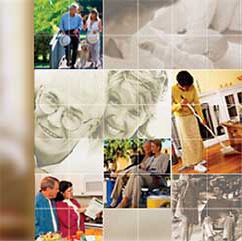 An AmeriCare Alliance Franchise Offers Wonderful Benefits. As you sort through the vast range of franchise opportunities and home care businesses available to you, we are confident AmeriCare Alliance(sm) will stand out. We have gone to great lengths to develop a model that offers unique benefits to the people in need of caregivers and to our franchisees. You'll Get Everything You Need To Know. As an AmeriCare Alliance franchisee, you'll be provided with everything you need to know to get your business up and running. You'll know who your competition is. How to advertise and market to referral sources, as well as directly to potential clients. How to recruit and screen caregivers, set up client contracts, and more. We make it easy to get up and running like a pro in no time.